Windows 7 Support. It needs to work on Windows 7 even off USB 2 at reduced quality, reduced resolution, whatever, but still work. Have limited features, power modes, lower fps, similar to Kinect 1, but still retain higher color video resolution. There’s probably more users still using windows 7 who should not be left out or lost. Get rid of the huge unattractive power bricks and cables. Address the “Not enough USB controller resources” bug, because that’s what it is – a bug. Work with most USB3 controllers, not just the two Microsoft USB controllers (Intel/RENESAS). The sensor must greatly reduce power usage in most cases, or have reduced power modes, so the users don’t all need these expensive USB hubs. There are probably some inexpensive $20 ones they currently don’t even mention or list. Have Kinect work with most modern laptops with different Video Cards and GPUs, without the need for external powered hubs. Even people with powerful i7’s are complaining, and still asking for a list of laptops that work, instead of MS addressing this issue. Most users will not bother buying hubs or high end laptops, just to try Kinect2. PrimeSense, Apple, Google and Intel is already working to miniaturize their sensors to work off phones and laptops with minimum power, yet Microsoft requires extra hubs for most laptops. They can’t be serious. Unity3D Kinect web-player support. Unity guys should be publicly involved, i.e. openly tangled in the Kinect discussions. Everybody wants to hear what is possible there and not what is impossible. There must be a way to get Kinect working in web plugin. 1920×1080 (AKA 1080p) 30 fps 16:9 camera (compared to 640×480 (AKA 480p) 30fps 4:3 for Kinect 1). 70° horizontal & 60° vertical field of view wide-angle lens (compared to 57° horizontal & 43° vertical field of view standard lens for Kinect 1). Recommended minimum distance from Kinect 2 for full body tracking (standing) – 4.5 ft (compared to recommended distance of 6ft from Kinect 1). Active IR (for the video camera to see in the dark/low light, compared to no Active IR for Kinect 1′s video camera). IR (infrared) TOF (Time-Of-Flight) depth sensor for 3D tracking (compared to IR structured light depth sensor for Kinect 1). 20 ms minimum latency (AKA lag, compared to 102 ms minimum latency for Kinect 1 and 50 ms minimum latency for joypads in 60 fps games). IR illuminator (compared to IR structured light projector for Kinect 1). 4 microphone array operating at 48 kHz (compared to 4 microphone array operating at 16 kHz for Kinect 1). Non-motorised manually hand-adjustable-only tilt (compared to motorized manually adjustable via joypad & automatically adjusted tilt for Kinect 1. I guess Kinect 1 actualy wins that one, lol!). 25 joints per player & 6 active players simultaneously (using default skeletal system, compared to 20 joints per player & 2 active players simultaneously using the default skeletal system for Kinect 1). Full head tracking simultaneously with body tracking (using default skeletal system, compared to no full head tracking just tracking head tilting left & right simultaneously with body tracking using default skeletal system and might not be possible at all even using custom tracking system for Kinect 1). Finger tracking (1 finger & thumb on each hand using default skeletal system and all fingers using custom system, compared to no finger tracking using default skeletal system and very limited finger tracking using custom system for Kinect 1). Facial expression tracking & facial recognition (using custom system presumably, compared to more limited facial expression tracking & limited facial recognition due to problems with low lighting & of course darkness due to lower resolution & no Active IR for Kinect 1). Muscle mapping (AFAIK not possible with Kinect 1). Heart rate monitoring (AFAIK not possible with Kinect 1). Voice recognition (most likely more advanced than Kinect 1, especially since the microphone array is higher quality). I am using your kinect script and develop an application for pc user. I want to expend my platfrom and I port my application for xbox 360 and xbox one. its possible to use your script for xbox port or your script just work on a pc ? The K2-package works only on PC. 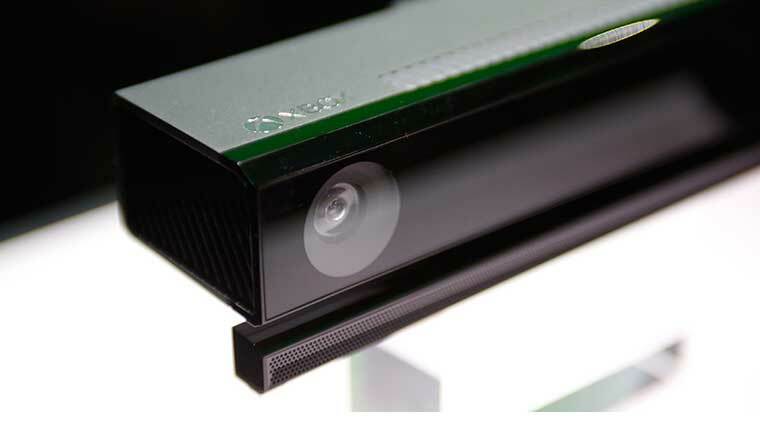 On Xbox platforms you need to use the Xbox-Kinect API. I have a question for the developers. with “Kinect v2 with MS-SDK” is possible to rotate the camera with gestures?